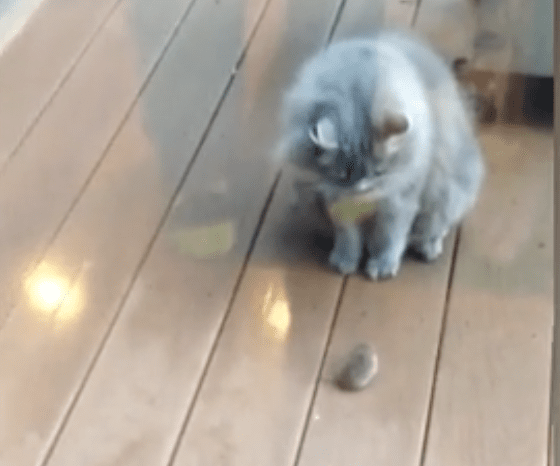 A cat and mouse surprise a woman watching them during an encounter on her porch. A cat and mouse surprise a woman watching them during an encounter on her porch. Nothing goes according to script but no one gets hurt. This Cat Likes to Skype!